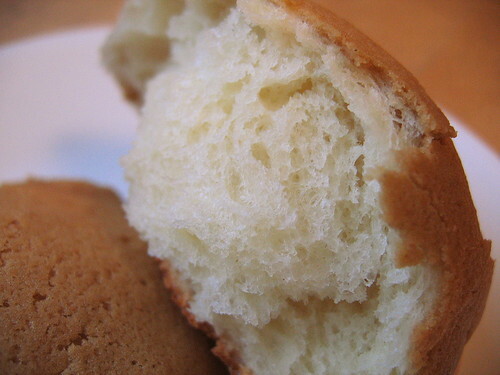 The Chinese like soft and fluffy white breads. The whiter, the better. It might explain why something called Hong Kong flour exists. The HK flour is bleached and low in protein so that the resulting bread is super white and super soft. I don't really mind if my Chinese breads turn out white or not. So I just use what I have on hand which is Central Milling's Artisan Bakers Craft, a 10.5% protein, organic, malted, unbleached flour. The results are definitely more off-white than white. Soft and fluffy is easy. Enrichments such as butter, egg and milk will do the trick. Using a tangzhong aka water roux helps with the softness and keeping quality. This bun is a purely Asian creation. 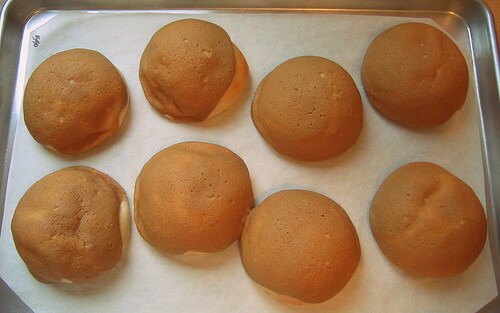 It doesn't seem to have anything to do with Mexico although buns with a cookie-like topping are reminiscent of conchas. I don't know who invented it first and I have no idea why the Chinese like topping breads with a cookie batter, but it's pure genius. The cookie melds with the bread dough and creates a thin, crispy, cookie-ish layer. Depending on the ingredient ratios in the cookie batter, the layer can be fused with the bread and cannot be peeled off. Or if the cookie batter is stiffer, the baked layer can be peeled or flaked off the bread and eaten separately which is the way I did it as a child when eating boh loh bao aka pineapple buns (which have no pineapple in it at all). I used instant espresso powder in my cookie topping, but instant coffee powder can be used instead. You can leave out the coffee and have a plain vanilla topping. I used a tangzhong milk loaf for my buns. They turned out super soft, fluffy and shreddable. The topping was crisp on day one, but softened considerably by day two. I left a few without topping. The topping weighs down the bun a bit so the topped ones spread out instead of up. 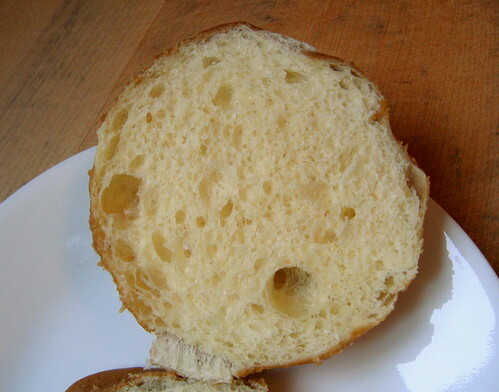 The bottom of the bun. To make the tangzhong: In a saucepan whisk 20 g AP flour into 100 g whole milk until it's pretty smooth. Cook over medium heat, whisking constantly, until the mixture reaches 149F/65C. It should be pudding like. Allow the tangzhong to cool before using it in the dough. In a KA stand mixer, mix everything except the butter on speed 1 for 3 minutes. Add the butter and mix on speed 2 until all the butter is incorporated, about 2 -3 minutes. Bulk ferment at room temp until doubled, about 1 hour. Proof on sheet pans at room temp for 30-45 minutes. Pipe cookie topping onto each proofed bun. Bake buns at 375F for about 15 mins or until golden brown. Best served warm. Dissolve the espresso powder in the warm water and mix in vanilla extract. Set aside. Beat in the espresso mixture. Transfer topping to a pastry bag fitted with a round pastry tip. 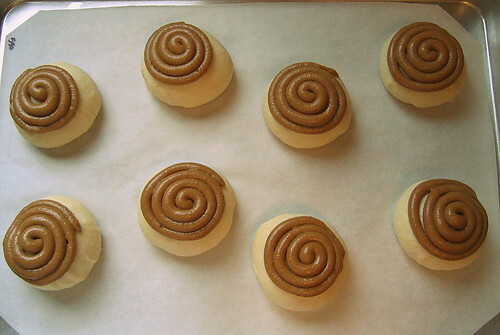 Allow the topping to soften a bit at room temp for about 5 or 10 minutes before piping it onto the proofed buns. I am always intrigued by the different ways to combine ingredients to make something different. If you told me that a cookie on top of my bun would taste delicious, I would be very skeptical. But then I would wholeheartedly bite into a piece of coffee cake with a thick layer of buttery streusel and thoroughly enjoy it. I will have to try one of these next time I am at a Mexican (or Chinese) bakery! Lovely writeup and pictures. Widening my horizons! clazar123- I guess a cookie topping on a bun is no more unusual than a lovely streusel on top of a coffee cake. Both are delicious! Fantastic post. May I feature it on the homepage for a bit? 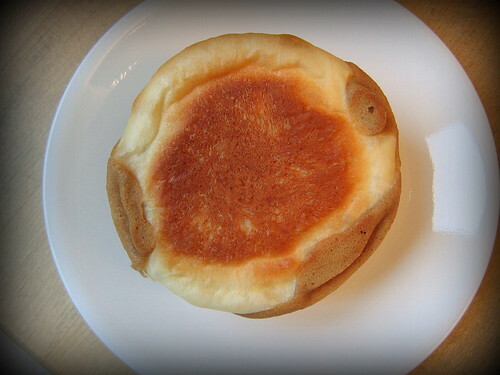 It has been years since I've baked them but I have baked melon bread, which uses a similar combination of doughs. I should try it again now that I know about the Tangzhong method. Always buy them when I go Malaysia. There's a version with chocolate sauce inside the buns. It's heavenly. Bookmarked and will try yours soon. A chocolate sauce inside sound so decadent. I might have to try making that. Thanks! Cookie bun does sound strange, doesn't it? :) And I like these more than conchas too. Thanks dab! I thought I commented on this a few days ago, but alas the gremlins must have struck again. Thanks for sharing with us and congrats on the front page. 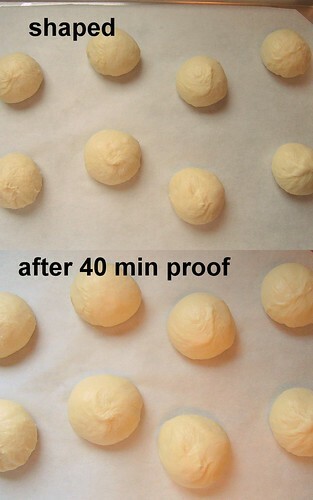 Hi pantone_000, I scaled my bun dough at 55 grams each, but I don't have a diameter of the pre-proofed dough balls. Mine were unfilled. 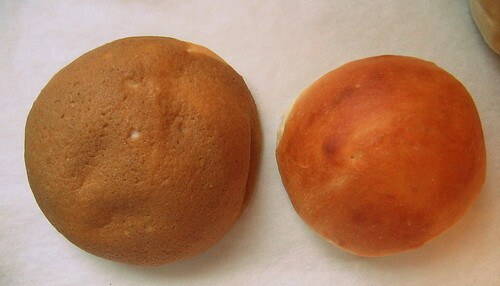 Each finished baked bun was 3.3 inches/ 8.5 cm in diameter. 300F for baking seems low to me, but I don't know how a brick oven compares to a domestic home gas oven. I've never had a problem with tangzhong breads turning out dense which is one of the reasons why I like it. I have had dense enriched buns made from sponge starter doughs, but mainly because I underproofed either at the sponge step, or during the final shape proof. Thanks Mary. I scale mine at 45g and then the filling (breadcrumbs, sugar, buter) at more or less 10g. 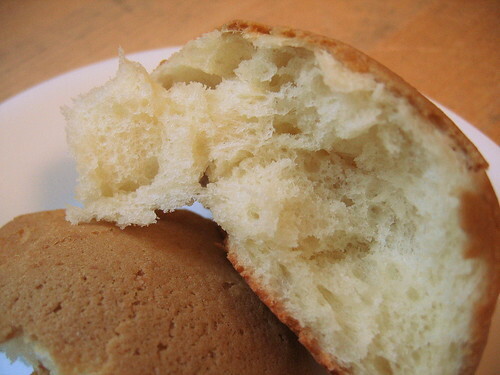 I wonder how I can make those tangzhong Japanese breads that are as light as cotton without using any dough conditioner/softener. TZ method is good for homemade breads, but I also wonder if that would be practical for bulk bakes (eg. 4-5 or more batches). Although I've never made 3, 4 or 5 kg of dough with tangzhong added, there's no reason why it shouldn't work. The TZ can be made ahead of time and used just like any pate fermentee (old dough). I did it! They filled the room with sweet coffee aroma. Mine didn't came out pretty, (might be because I didn't use a pastry tip? ), but they were yummy. :D I'll try again soon! Hi Kaipea, I think your buns look great. The pastry bag and tip helps, but the topping melts and spreads in the oven so you can't really tell with the final product. Great job!! 1) Can you use ground coffee instead of instant coffee powder? 2) How much warm water did you use to dissolve the espresso powder? Hay, thanks for the valuable subject, I've tried many times the original Papparoti/Rotiboy buns in Malaysia and Dubai but, now I can say that I've made a similar dough & buns (super soft) but I notice that the coffee topping flavor and smell doesn't become like the ones that i eat in Papparoti and Rotiboy !!! in other words the smell and flavor is like a specific type of cookies and not a vanilla or cinnamon or cacao powder, do you have any idea what materials should I add to reach the same flavor and smell ? please advice and thanks. So what kind of yeast and flour is the best for getting the same result ?